Hair Tissue Mineral Analysis (HTMA) is a non-invasive, easy to do, affordable method to look at an accurate report of your tissue levels of 36 key minerals and heavy metals impacting your health. Why Use Hair Tissue Mineral Analysis (HTMA) For Understanding Mineral Imbalances? Hair testing allow us to look at the relationships between minerals and toxic elements, and not just one mineral level in isolation. The hair reflects the tissue level or available minerals. Hair is a a form of soft tissue and provides a great window into what is happening inside the body at the tissue level. If we want to know the stored tissue level, blood tests and urine tests are not the answer. 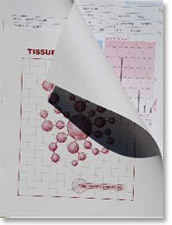 Blood tests can provide a secondary source of information but not tissues levels. Another major advantage that Hair Tissue Mineral Analysis (HTMA) offers is data on the key ratios between mineral pairs as determined through the exhaustive research in the 1970’s and 80’s by Dr. Eck and Dr. Watts, the pioneers of the science of nutritional balancing. If the hair chart shows high magnesium, is it really high? Probably not, because stress depletes magnesium and most people are magnesium deficient. A high magnesium level represents intracellular loss of magnesium which shows up high in the hair but indicates magnesium deficiency. The ratio between sodium (Na) and potassium (K), known as the stress ratio will show high Na/K ratio is someone is under a great deal of stress. 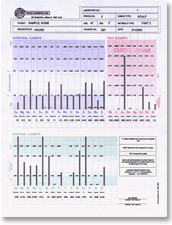 HTMA provides a mineral blueprint of one’s biochemistry. It will provide pertinent information about one’s metabolic rate, energy levels, sugar and carbohydrate tolerance, stage of stress, immune system and glandular activity. It is a tissue mineral biopsy that is non-invasive, relatively inexpensive and extremely accurate. The laboratory that we use in the USA (Trace Elements) has the advanced and sophisticated instrumentation used to assess mineral levels in parts per million or parts per billion. Hair tissue mineral analysis (HTMA) is considered a standard test used around the world for the biological monitoring of trace elements and toxic metals in humans and animals species. Hair test are repeated about every 3 – 6 months to see how things are shifting in addition to monthly monitoring of symptoms. Hair tissue analysis as the most thorough and comprehensive way of charting your detoxification process and getting a detailed blueprint of your nutritional metabolic activity. Comprehensive Analysis Report: Includes detailed graphed results for 8 toxic metals, 15 nutritional minerals, 15 additional elements, 7 significant mineral ratios and 9 toxic metal ratios. 15 Essential Minerals: All mineral/metal levels are reported in milligrams percent (milligrams per one-hundred grams of hair). One milligram percent (mg%) is equal to ten parts per million (ppm). The hair test includes these essential minerals: Calcium, magnesium, sodium, potassium, copper, zinc, phosphorus, iron, manganese, chromium, selenium, boron, cobalt, molybdenum, and sulfur. These nutrients play significant roles in such metabolic processes such as muscular activity, endocrine function, reproduction, skeletal integrity, and overall development. Includes 15 Additional Elements: Germanium, barium, bismuth, rubidium, lithium, nickel, platinum, thallium, vanadium, strontium, tin, titanium, tungsten and zirconium. 6 Significant Mineral Ratios: A calculated comparison of two elements to each other is called a ratio. To calculate a ratio value, the first mineral level is divided by the second mineral level. The report includes calculated ration for: Ca/P, Na/K, Ca/K, Zn/Cu, Na/Mg, Ca/Mg, Fe/Cu. If the relationship between certain minerals in the body is disturbed, normal biological functions and metabolic activity can be adversely affected. Reference Ranges: The reference ranges in the report should be considered as guidelines for comparison with the reported test values. These reference ranges have been statistically established from studying an international population of “healthy individuals”. The reference ranges should not be considered as absolute limits for determining deficiency, toxicity or acceptance. Diet Recommendations: Lists of specific foods and food groups, along with an explanation of why each food is suggested. 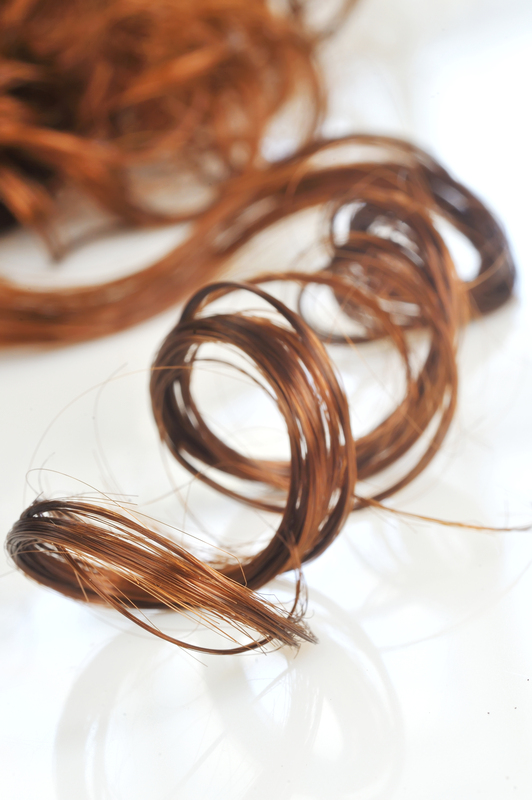 Depending on the state of your body’s energy levels, it may take several tests before the toxic metals show up in the hair.